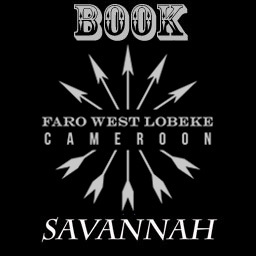 Faro West Lobeke concession is 400,000 acres of rolling wooded savannah bordered on the west and south by low forested mountains and divided east to west by the Faro River. Game animals feature Lord Derby Eland (100%), W. African Savannah Buffalo, W. Roan. 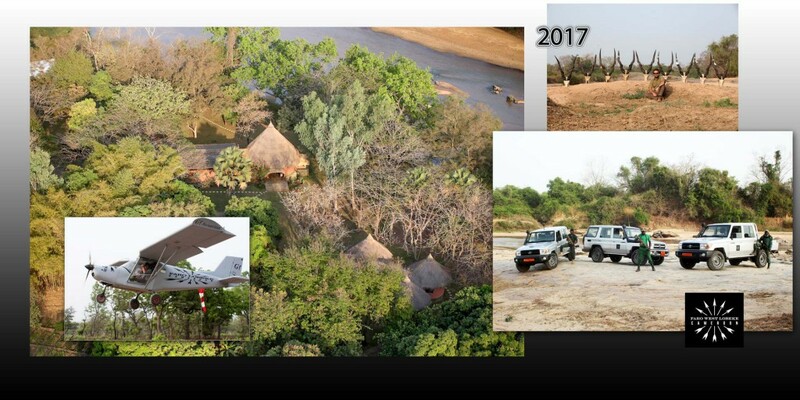 The camp is on the north bank of the river overlooking a series of rocky ledges, fully exposed by the low flow of the dry season. The lodge and the air conditioned individual circular chalets are masonry / walled with thatched roofs. Five-star cuisine is served by outstanding camp staff. Ammunitions: 40 – soft / 10 – solids. 3 Sets of shirts (green). 3 Sets of pants or shorts. 1 Warm jacket for the morning. 2 Pairs of hiking shoes (lace up high top).